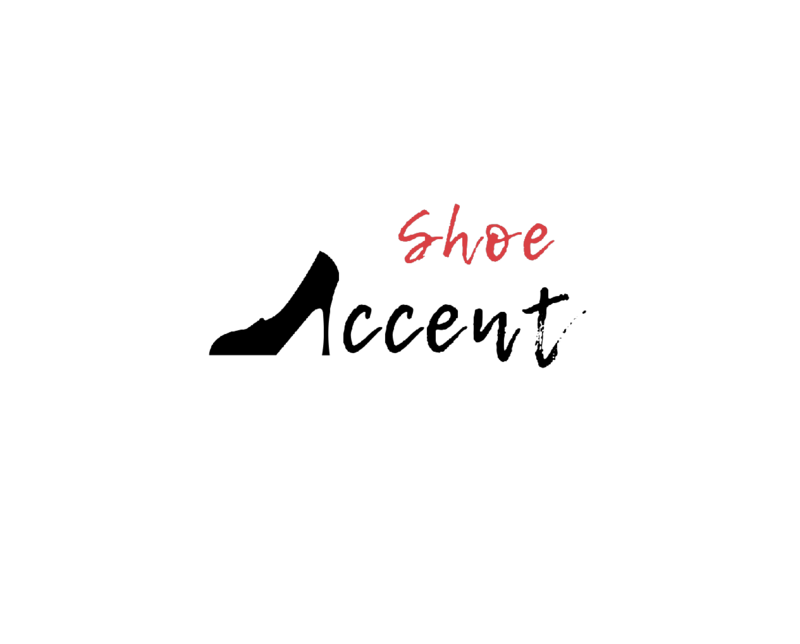 We created a new logo & branding package for Shoe Accent. This new shoe company is based in Oklahoma City and is the creation of Liz Castaneda. This tenacious young entrepreneur is excited to fulfill her lifelong dream of opening up her own line of shoes for young women this year. When she approached us to help her craft her brand, we were very excited to dive in! Her target market is 20 – 30 year olds. We took Liz through our branding process, helping her distill her vision for her messaging. At the end of our logo design process, we had two concepts that we really loved — and more importantly, her target market loved. We went through several versions of the logo. This was the first round the client really connected with. She liked the minimalism and powerful impact of the red and black colors, the shape of the high heel, and the youthful feel of the script fonts. We continued to refine the logo based on the client’s feedback and feedback from our target user groups. This is the final brand for Shoe Accent. The font is more refined, and we added the red tag as an accent on the logo. The final result is powerful, yet youthful. The font has a hand-written feel to it while feeling very high-end. The client and her focus groups are all delighted with the final results.